This was the first time I had ever used pastry, so I got the DS Gluten Free stuff to start out! 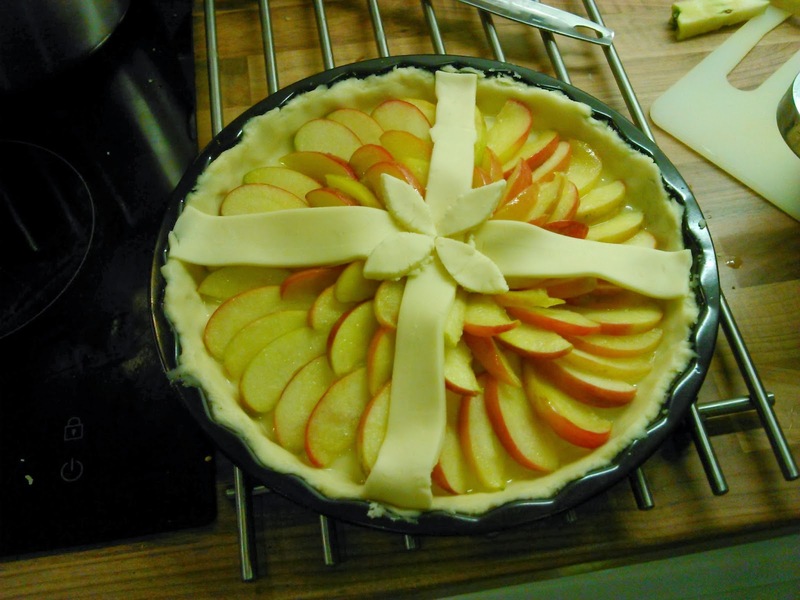 I make an apple crumble now and again but this was different. This was a tart. 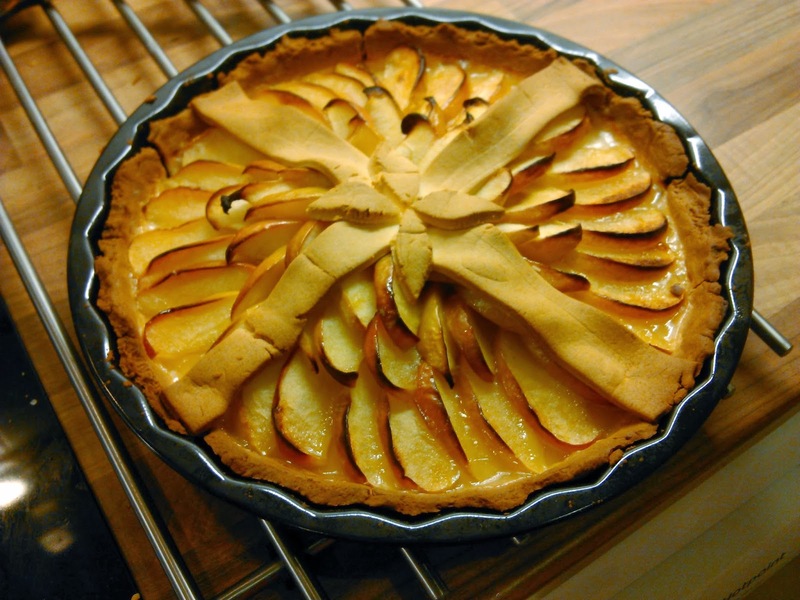 The original idea was a tarte tatin, but we realised we didn't have a good enough pan (or skill) to carry that off! 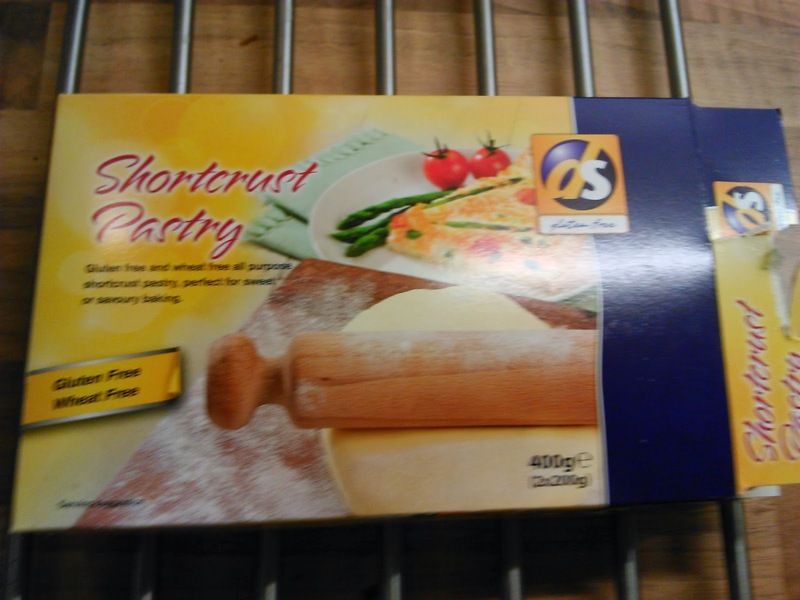 The pastry can be found in the freezer section of Dunnes. I've seen it a few times now, most recently in the Dunnes in Maynooth, so it's not just in the Dublin stores. 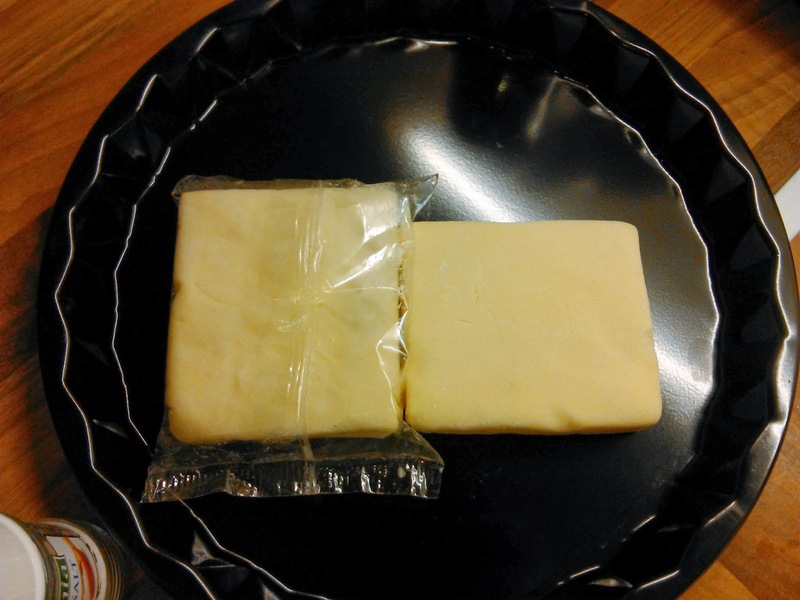 It comes in two blocks and you'll need to defrost it in the fridge. The dough itself required a good bit of kneading to get it warmed up and pliable, but when it's nice and warm roll it out onto a clean surface lightly dusted with gluten free flour. I found if it was rolled too thin it cracked or I couldn't pick it up without breaking to get it into my pan, so I had to use both blocks for the base with some left over. Note: If you don't have a rolling pin, grab a cylindrical bottle (clean it! ), put some water in, and close it up. It's a handy roller if you're stuck. For the filling I sliced up three apples. I wasn't very picky about them being cooking apples, but I did get red babies because they're a little sweeter. The skins were left on to add a bit more flavour. 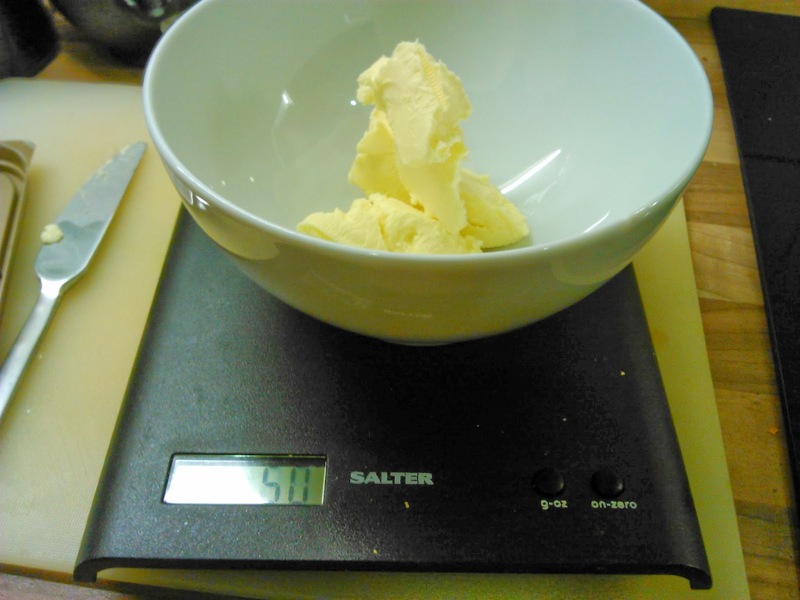 50g of butter and 50g of sugar are needed. 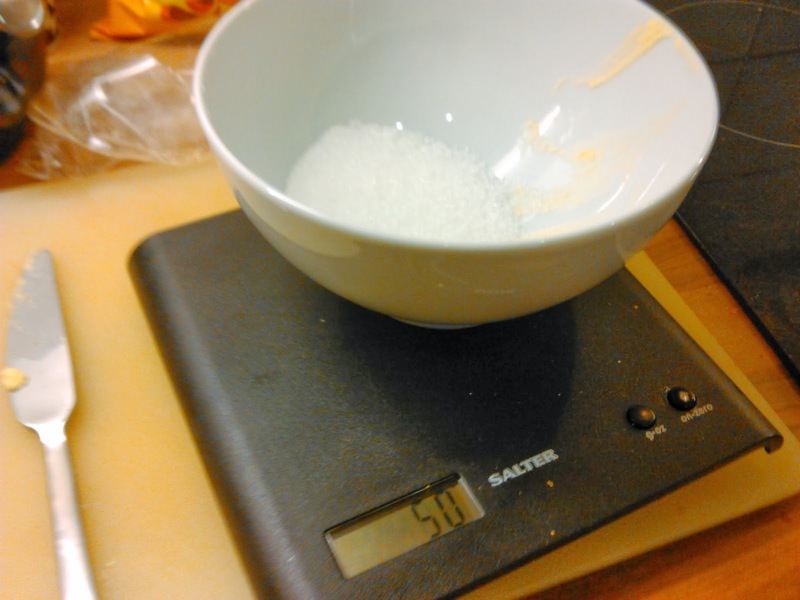 Melt the butter and half the sugar in a pot and add a little water (50-100ml). 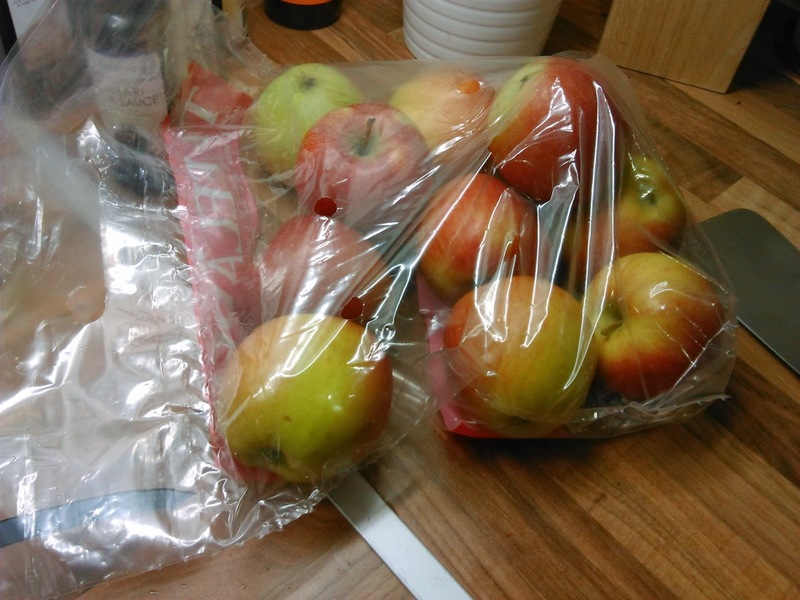 The amount of water is just to soften the apples. Once this is simmering start putting in the apples and leave them until they're soft. Keep adding a little sugar every now and again. When they're feeling soft and smelling sweet start to place them on your pastry. I kept putting them in a circle. 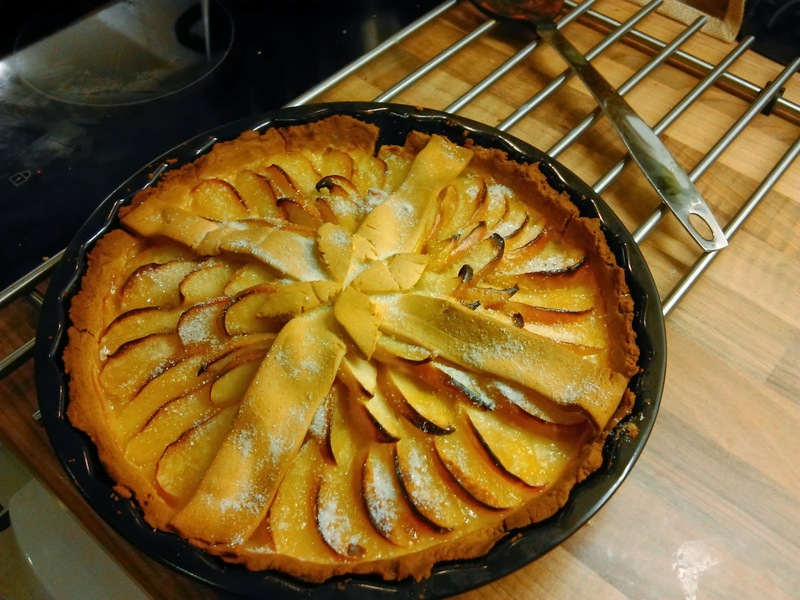 In hindsight I would have liked a lot more apple once it was baked but I was afraid of having a soggy base! I poured some, not all, of the liquid from the pot in over the apples to give them some of that juicy goodness. I used the leftover dough for the decorative bits! Bake in a preheated oven at 200C for 30 minutes. Sprinkle with a bit of sugar while it's still warm and it will melt in the heat. It was yum, but a little on the dry side so I would recommend more liquid or apple or rolling a bit of sugar in the pastry early on. Let us know how you get on with this pastry on Facebook, Twitter, or Instagram.